– As a math teacher at Amesbury High School, Jessica Regis knows that half the battle is making the abstract a reality for her students. Executive Director Pam Bates is the recipient of the Peter H. Brink Award for Individual Achievement. On October 20, 2011, Pam Bates flew to Buffalo, New York to receive this prestigious national award in a ceremony amongst non-profit and preservation leaders from across the nation. Lowell’s is very proud of Pam’s achievement and honored to have her as part of our organization. 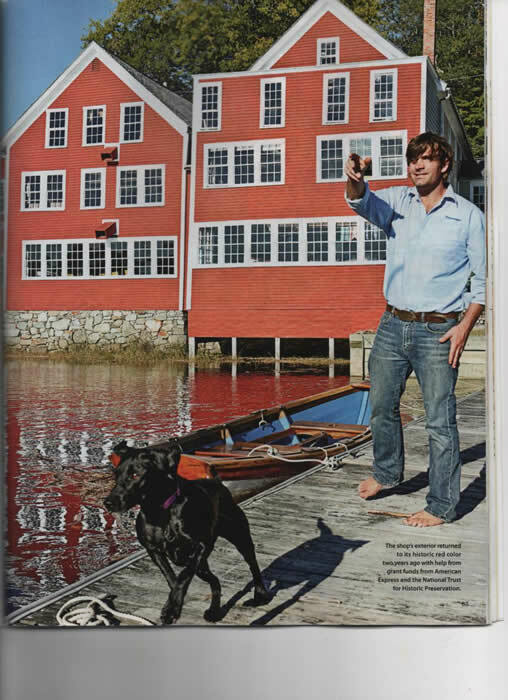 Great article on the Boat Shop and our own Graham McKay’s work and role in keeping this 218-year-old-treasure’s history alive.